AllGems Transportation Limo Service is the premier Orlando and Central Florida Limousine and ground transportation service. Our limousine and ground transportation vehicles are maintained to the highest standards of cleanliness and operational readiness. 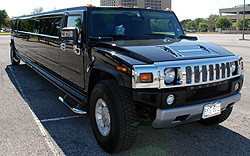 The H2 Hummer Stretch Limousine is an extremely popular choice for Limousine and Luxury Transportation service in Orlando, Central Florida and throughout the State. This H2 Hummer Stretch Limousine model is one of the more prestigious stretch limousine vehicles available. 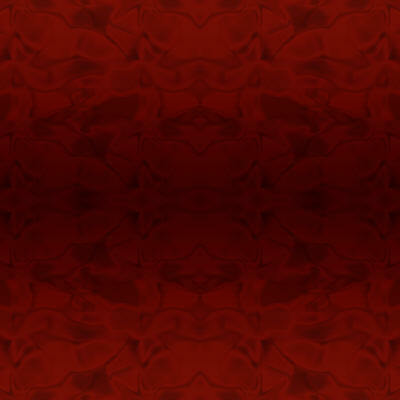 Ideal for any event or special occasion. Our H2 Hummer Stretch Limousine comfortably seats up to 18 passengers, and is a state of the art luxury transportation vehicle. Full bar available, as well as a top of the line sound system for your enjoyment. AllGems is extremely proud to offer this vehicle for your transportation needs, special events, and occasions. When you want to arrive in style, while leaving a lasting impression on your friends, associates, or others, contact AllGems Limousine Transportation regarding our H2 Hummer Stretch Limousine by calling Toll Free 877.625.4367 or locally at 407.438.3074. The Lincoln Stretch Limousine is a luxurious and dependable mode of transportation commonly used for corporate and business meetings, convention transportation, anniversaries, and other transportation needs, including out of town charters. This vehicle is a comfortable and reliable mode of transportation which is extremely versatile for charters which require multiple destination stops or a cost effective executive or personal means of transportation in style and privacy. Our Lincoln Stretch Limousine comfortably seats up to 10 passengers, and is a popular luxury transportation vehicle. When you want to arrive in comfort and style, contact AllGems Limousine Transportation regarding our Lincoln Stretch Limousine by calling Toll Free 877.625.4367 or locally at 407.438.3074. 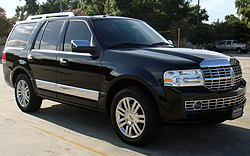 The Lincoln Navigator SUV or Cadillac Escalade ESV is a luxurious and dependable mode of transportation commonly used for corporate and business meetings, convention transportation, anniversaries, Orlando Airport transportation, Sanford Orlando Airport transportation and other transportation needs, including out of town charters. This vehicle is a comfortable and reliable mode of transportation which is extremely versatile for charters which require multiple destination stops or a cost effective executive or personal means of transportation in style and privacy. Our Lincoln Navigator SUV or Cadillac Escalade ESV comfortably seats up to 6 passengers, and is a popular luxury transportation vehicle. When you want to arrive in comfort and style, contact AllGems Limousine Transportation regarding our Lincoln Navigator SUV or Cadillac Escalade ESV by calling Toll Free 1.877.625.GEMS (4367), or locally at 407.438.3074. The Lincoln Town Car Sedan is a popular vehicle for executive ground travel needs which offers comfort, style, and dependability. Often requested from airport and hotel charter pick-ups and drop offs, this vehicle is also a popular choice for business meeting, dining out, to the personal transportation needs of many Orlando and Central Florida transportation needs of both local residents and visitors to our area. 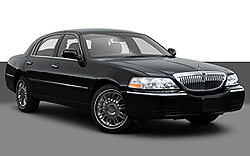 The Lincoln Town Car Sedan is also often requested for Orlando Airport transportation, Sanford Orlando Airport transportation and personal or small group Out of Town Charters. Our Lincoln Town Car Sedan comfortably seats up to 4 passengers, and is a popular luxury transportation vehicle. When you want to arrive in comfort and style, contact AllGems Limousine Transportation regarding our Lincoln Town Car Sedan by calling Toll Free 1.877.625.GEMS (4367), or locally at 407.438.3074. 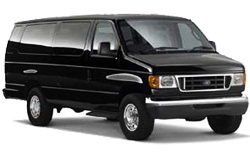 The Mini Bus has become a very popular choice for medium and large size groups celebrating special events or for providing mass travel to other events such as sporting events, surprise parties, bachelor / bachelorette parties, birthdays, Orlando airport transportation, Sanford Orlando Airport transportation and other special occasions. This vehicle is available for Local Orlando and Central Florida travel as well as Out of Town Charters. Our Mini-Bus comfortably seats up to 28 passengers, and is a state of the art luxury transportation vehicle. When you have a medium to large group that wants to party or celebrate various occasions, this is the vehicle for you! When you want to arrive in style, while leaving a lasting impression on your friends, associates, or others, contact AllGems Limousine Transportation regarding our Mini-Bus by calling Toll Free 877.625.4367 or locally at 407.438.3074. The Executive Van has become a very popular choice for small to medium size groups celebrating special events or for providing mass travel to other events such as sporting events, surprise parties, bachelor / bachelorette parties, birthdays, and other special occasions. This vehicle is available for Local Orlando and Central Florida travel as well as Out of Town Charters. Our Executive Van comfortably seats up to 10 passengers, and is a state of the art luxury transportation vehicle. When you have a small to medium group that wants to party or celebrate various occasions, this is the vehicle for you! When you want to arrive in style, while leaving a lasting impression on your friends, associates, or others, contact AllGems Limousine Transportation regarding our Executive Van by calling Toll Free 877.625.4367 or locally at 407.438.3074.